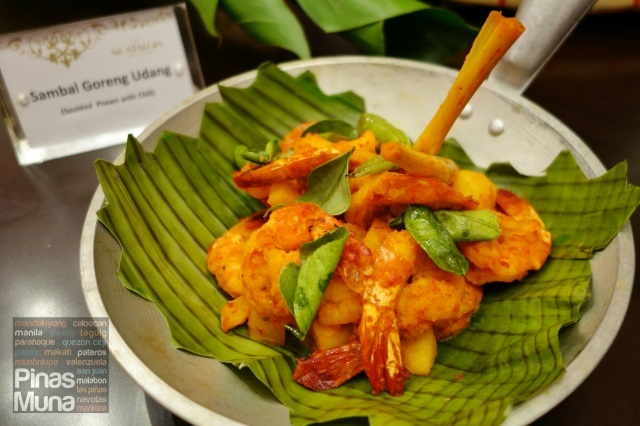 Nostalgia Dining Lounge, the all-day dining restaurant of Oakwood Premier Center Manila, is hosting a ten day Indonesian Food Festival prepared by Executive Chef Deden Suherman and Sous Chef Sulistyo Antonius of Oakwood Premier Cozmo Jakarta, Indonesia. 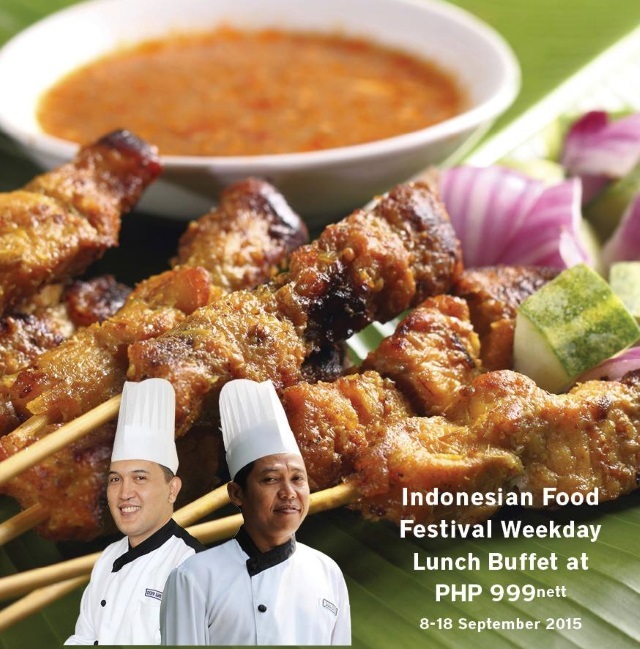 Have a taste of authentic Indonesian cuisine during the Weekday Lunch Buffet for only P999.00 nett per person from September 8-18, 2015. 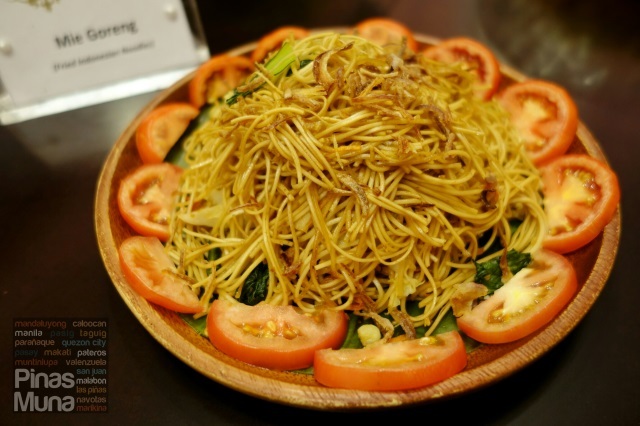 Our favorites were the Mie Goreng (Fried Indonesian Noodles) which is made extra yummy when mixed with the red mie goreng sauce. The Sate Ayam (Grilled Chicken Skewer) was perfectly grilled, the chicken was tender and moist and the peanut sauce was thick and rich in flavor. Our top recommendation would be the famous Rendang Padang (Indonesian Beef Stew with Spice and Herbs), more commonly known as beef rendang. Slow cooked for hours, the beef was super tender while the sauce was dark, thick and not oily, and has a rich caramely-coconut flavor. 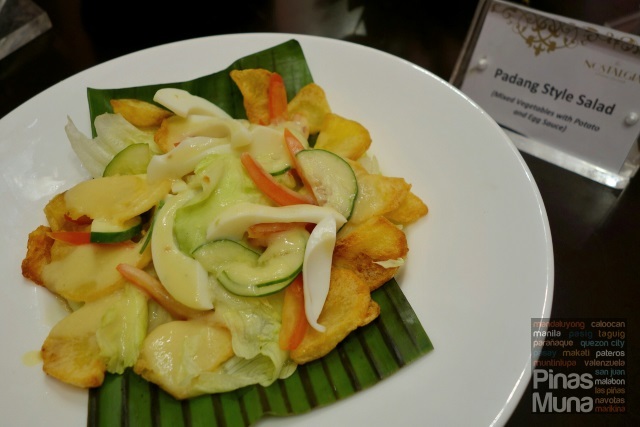 According to Chef Deden, he finds a lot of similarities between Filipino and Indonesian cuisine, especially in our native Filipino cuisine not influenced by Spanish and American cooking. 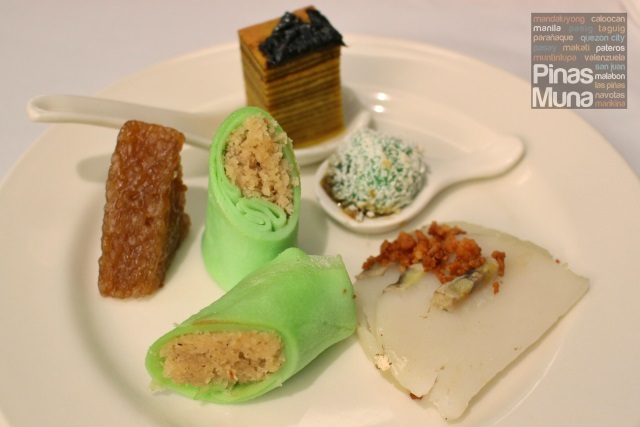 This can be seen in their desserts such as the Wajik which he compared to our Biko. The Kue Pisang has a similar taste to our Maja Blanca sans the banana. I hope I could bring Chef Deden to Jolo, Marawi and Cotabato so he can also have a taste of our Bangsamoro cuisine that has a closer relation to Indonesian cuisine. The Sambal Goreng Udang (sauteed prawns with chili) reminded me of the Piarun a Odang (spiced prawns) we tasted in Marawi which the Maranaos cook using Palapa (caramelized shallots with chili), an ingredient and condiment similar to the Indonesian Sambal (chili paste). The Ayam Goreng Kuning (Turmeric Fried Chicken) reminded me of the wide use of Turmeric in Maranao, Maguindanao and Tausug cooking. The Dadar Gulung (coconut pancake) reminded me of a snack we had in Jolo called Daral which is also made with rice crepes filled with caramelized coconut. 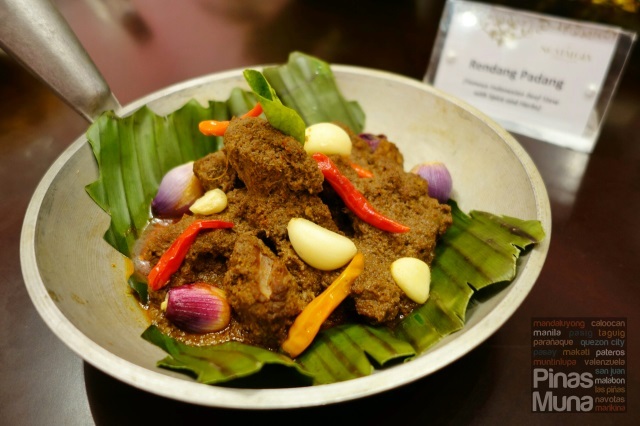 The Rendang Padang, a dish which originated in Indonesia, now has countless versions across Indonesia, Malaysia, Singapore and the Philippines. 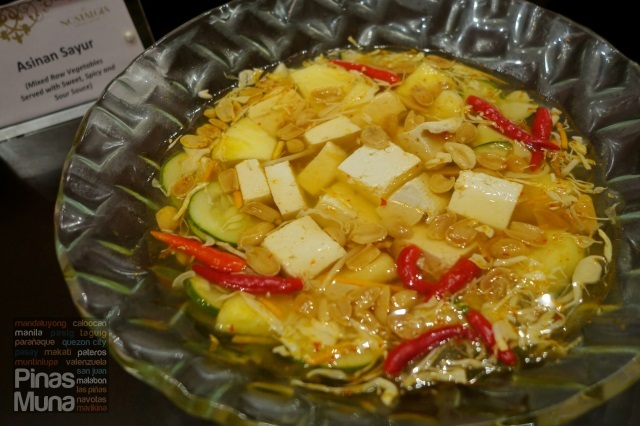 Variations are on sweetness, spiciness and dryness of the sauce. Rendang Padang is slightly dry, sweeter and less spicy which is similar to the Maguindanao version of Rendang. In contrast, the Rendang cooked by the Maranaos is spicier and less sweet, heavy on the sauce and has the distinct palapa flavor. 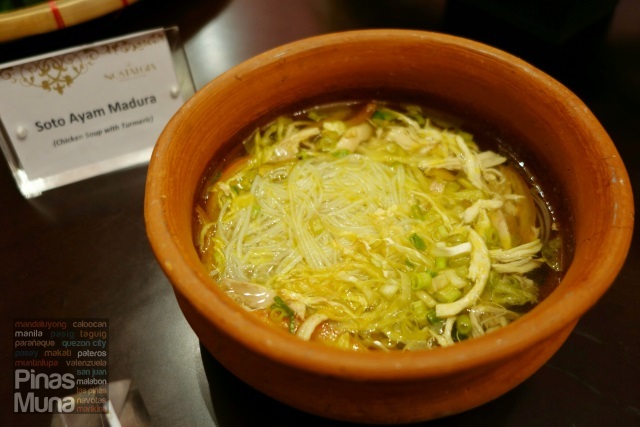 Having experienced our local Bangsamoro cuisine through our travels around the Philippines gave me a better appreciation of Indonesia cuisine more than ever. 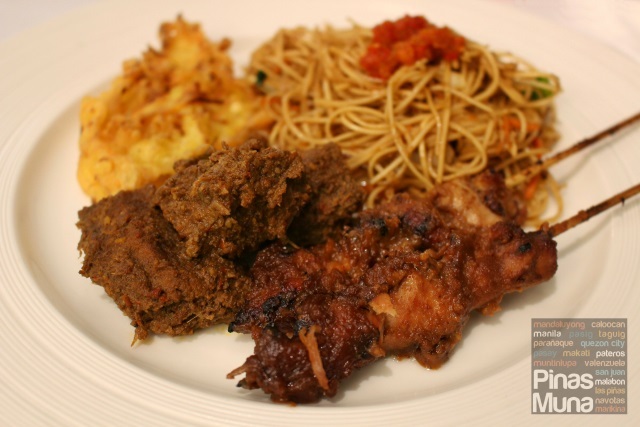 I am amazed by how similar our cuisines are, and by how different they are at the same time. But more than anything else, trying different cuisines is an adventure and an opportunity to learn about different cultures and the relationship of their people. Something that I urge you to try as well. 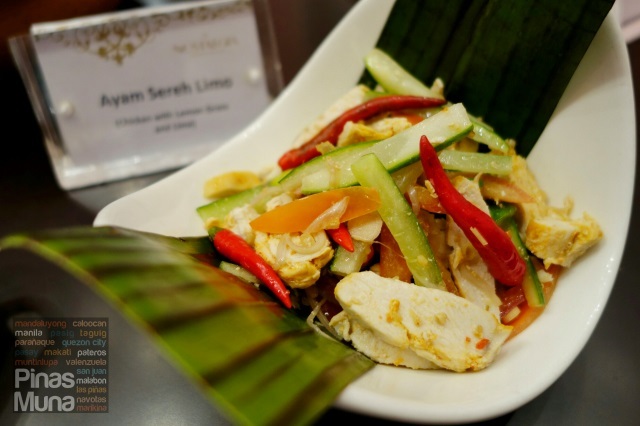 If you love Indonesian cuisine, this is your rare chance to have a taste of authentic Indonesian cooking without having to travel all the way to Indonesia. 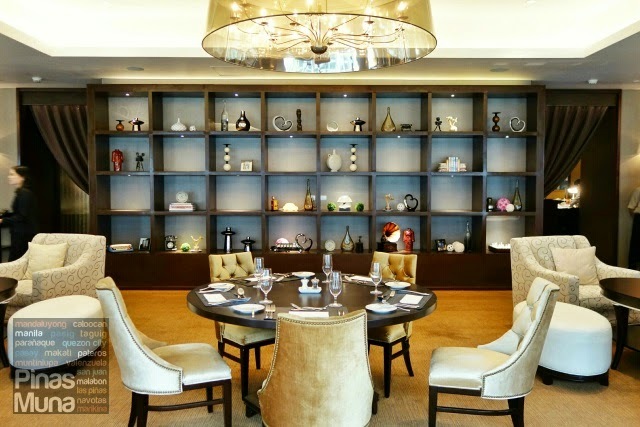 At P999.00 per person, this is a great value for your money since dishes are served on a buffet setting. 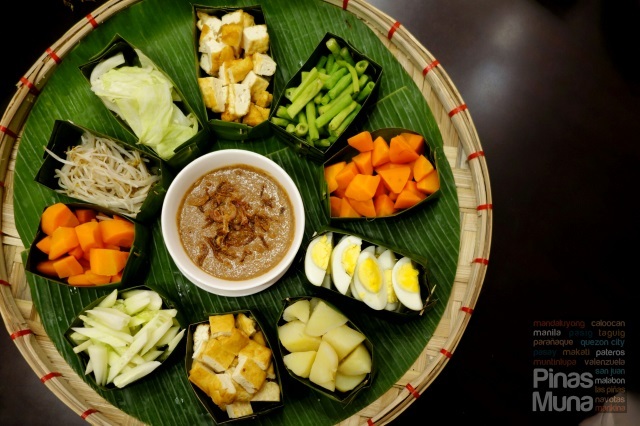 Bring your friends and family, and if you have Indonesian friends living in Manila, this is a great time to explore the flavors that bind us with our South East Asian neighbors. The Nostalgia Dining Lounge is located at the 6F of Oakwood Premier Center Manila, the building right across the Asian Development Bank. To reserve a table, you can call (02) 637-7888 local 8604.